The Rangeley ski resort has been closed since 2015. 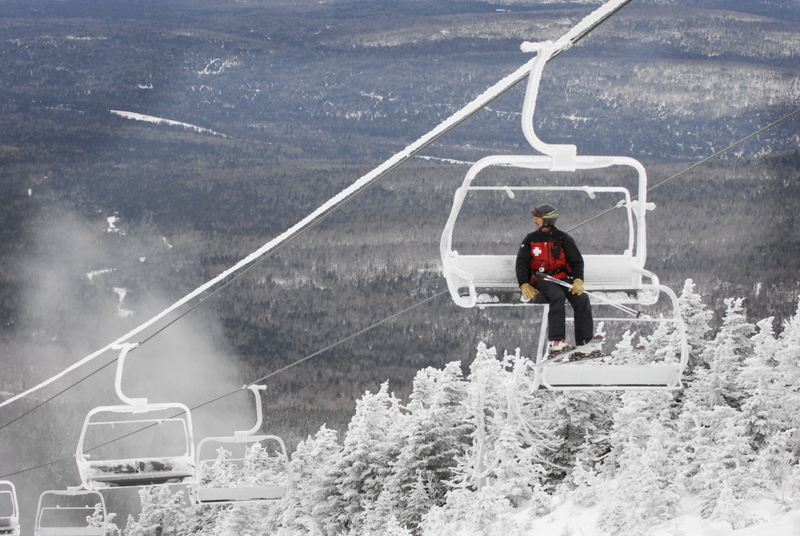 A Boston investment firm has made an offer to buy Saddleback Mountain, pledging to invest $25 – $30 million after the sale to help restart the Rangeley ski resort, which has been closed for four years. Some details of the Arctaris Impact Fund’s offer to the Berry family, which owns the property, were shared this week via an email with owners of Saddleback condos. The email was sent by Andy Shepard, CEO of the Outdoor Sports Institute, and Tom Federle, a Portland attorney, who have been working with Arctaris to try and purchase the ski area. Arctaris’ email to Shepard and Federle was shared on Tuesday with the Rock Pond Condo association owners, who have homes on Saddleback Mountain, to show Arctaris’ desire to buy Saddleback. The Portland Press Herald obtained a copy of the email. It included a section from Tower, who spelled out the offer and process it hopes to follow to close the deal. * The fund has the capacity to close the deal, and would use its own capital to fund the purchase — it does not need any financing through the New Markets Tax Credit or Opportunity Zone tax programs. * It expects it will take 120 days to close the transaction, although it is unclear in the email the date of the offer. * There is significant support from nonprofits and the broader community to help pay for improvements to the chairlift system. Tower also notes that returns on the fund’s investment will be challenged by the long closure of the resort, the costs to upgrade it and the uncertainty surrounding future real estate sales. Saddleback offers 2,000 vertical feet of skiing and some of the toughest expert terrain in the East. It is also provides significant employment opportunity in Franklin County, as the third-largest employer in the county with as many as 350 employees during the winter. The Berrys announced they were in a purchase and sales agreement to sell Saddleback ski area in June, 2017, to the Australia developer the Majella Group, but that never happened. And its CEO, Sebastian Monsour, who promised to make it the “premier ski resort in North America,” later was arrested in Australia for fraud after allegedly misusing $5 million from a Chinese developer. In October, 2016, the Saddleback Mountain Foundation, a newly formed group of Rangeley businesses and Saddleback season-pass holders, announced they reached a verbal deal with the Berry family to purchase the ski area and the land around it – buying the core ski area for $6 million. In the same deal, the Trust for Public Land and the New England Forestry Foundation said they had reached an agreement with the Berrys to purchase another 3,249 acres around the ski area to preserve as conservation land, although a sale price had not been determined.